Welcome to the first day of your amazing career! Lupe is an independent therapist for the LA Lakers and Sparks teams, working with athletes and celebrities, such as Candace Parker of the Sparks, Jared Goff of the Rams, and UFC fighter, Kron Gracie. The staff at Fremont College goes above & beyond to help students succeed. They are entertaining, well informed & provide a stimulating learning environment. What I liked about Fremont College is that I had a sense of purpose and I was moving toward that purpose. When I met the instructors at Fremont, they installed a sense of confidence in me that there wasn't anything I couldn't accomplish. I loved that everyone felt like friends and family. The entire staff at Fremont College had my best interests in mind. What I love about Fremont is that I had a sense of togetherness. Everyone was willing to pitch in and help each other out. It was like a family atmosphere. I loved the teachers. They were very knowledgeable. Everyone is always willing to help. They want you to be successful. I loved the sense of family. The way that everyone was dedicated to my success. Our Students are working for top companies across the globe. What is Kanye West Really Worth? Fremont College offers both online and on ground programs to meet the needs of working adults. We’re here to ensure that your educational and career goals are achieved through our in-demand college degree programs. Explore our online college degree programs to find the right program for your career goals. For those looking to join our Cerritos college campus browse on-campus options such as our Wellness programs or ABA approved paralegal program. 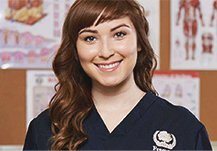 You might also browse our massage school programs, healthcare programs, business certificates and degrees, or marketing career options. Learn more by filling out a form to speak with an admissions coach. We know that you have the drive that it takes to go out and start a new life for you and your family. Let us help you make that dream a reality. As a small private college, we can offer you an education much faster than the traditional 4-year university. In as little as 9 months you could be ready to start your new career and pursue a better life for you and your family. If you’re ready to start your college education now, schedule a free one-on-one mentoring session by filling out the contact form on this page or dialing our local Cerritos number (562) 809-5100.